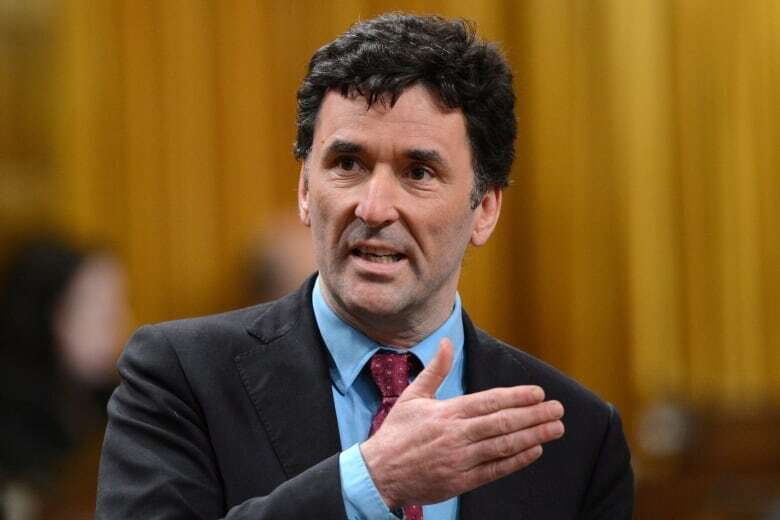 Paul Dewar, the former Ottawa Centre MP who spent his last days working to empower young people to change their communities for the better, has died. He was 56 years old. 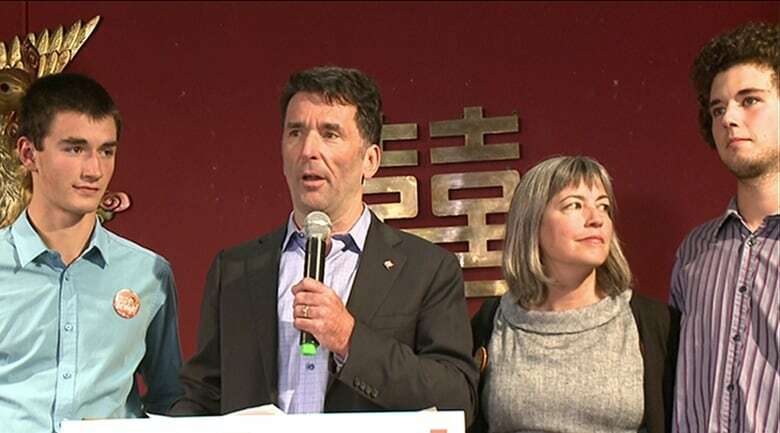 When former Ottawa Centre MP Paul Dewar was diagnosed with terminal brain cancer early in 2018, he was given some straightforward advice: Face death and walk back into life. Dewar, who died at 5:15 a.m. Wednesday, did both, with all the dignity and purpose he could muster. According to a statement from his family issued Wednesday, Dewar was with his wife, Julia Sneyd, and sons Nathaniel and Jordan when he died. Before his death, Dewar wrote a letter that his family posted on Facebook Wednesday. He said his illness made him truly appreciate the beauty in the world. "I told you that I thought my illness was a gift and I genuinely meant that. In this time in between, I got to see the wonder of the world around us." On Feb. 14, 2018, Dewar underwent surgery to remove a large tumour caused by the same incurable brain cancer that had killed Tragically Hip frontman Gord Downie just a few months earlier. Dewar chose to go public with his glioblastoma diagnosis in June 2018. He won widespread praise for facing his impending death with courage and grace, and for his resolute approach to the time he had left. "It's Grade 4, which is terminal. 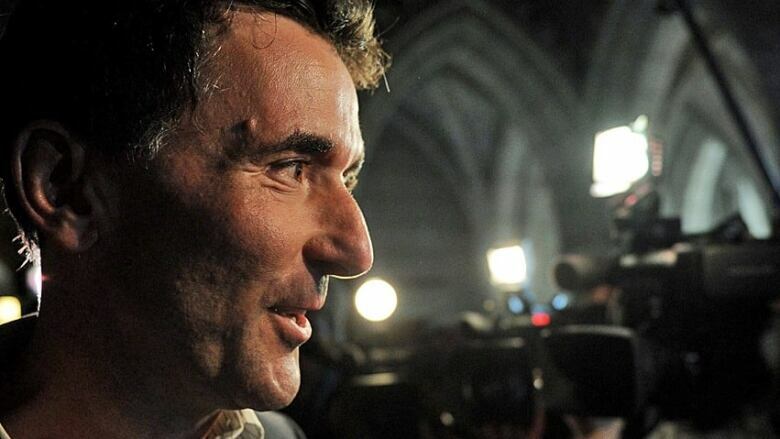 There is no cure," Dewar told Robyn Bresnahan, host of CBC Radio's Ottawa Morning. In the same interview he also revealed he'd undergone the full range of treatment, including surgery, radiation and chemotherapy. "Then you hope for the best in terms of how much time you have to live." The support and admiration he received during his illness crossed party lines. In an interview with Rosemary Barton, host of CBC's The National, Dewar spoke of how MPs had reached out and shown him "love and support" in his illness — including Environment Minister Catherine McKenna, who defeated Dewar in Ottawa Centre in 2015. "While we may sit on different sides of the aisle, we're all colleagues together," a visibly shaken McKenna said in the House of Commons after news broke of Dewar's diagnosis. 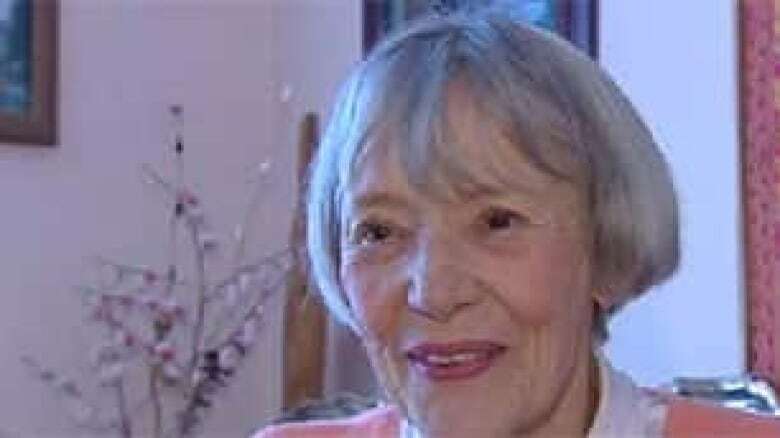 Politics was a family affair for the former teacher. His mother was former MP and Ottawa mayor Marion Dewar. Dewar won the Ottawa Centre riding in the January 2006 federal election, taking over from former NDP leader Ed Broadbent. On his first day on the job, Dewar told CBC he was aware of the high expectations resting on his shoulders. "Yes, there is a gulp in my throat," he said. Dewar retained his seat through the 2008 and 2011 elections, winning a reputation as an engaging, down-to-earth politician. Then-opposition leader Jack Layton appointed Dewar foreign affairs critic, and he continued to hector the Conservative government over Canada's failure to intervene in social injustices around the world. During his nine years in office, Dewar championed many causes. He called on the Conservatives to denounce Uganda after its parliament introduced an anti-LGBT bill that included life in prison for those convicted. He spoke out against the mass murder of civilians in the Darfur region of Sudan. He criticized human rights abuses in Iran and Saudi Arabia, to which Canada had sold armoured vehicles. He also condemned Canada's dwindling role in global peacekeeping, penning an editorial chiding the Conservatives for "a pattern of disengagement and withdrawal from the international community" and warning of the dire consequences of Canada's new "arrogant isolationism." Dewar also refused to remain silent on issues closer to home, such as the raw sewage that for years had flowed into the Ottawa River during heavy downpours, the city's lack of cycling infrastructure and the need for affordable housing at LeBreton Flats. Dewar was also a vocal defender of federal public servants, especially when it came to threats against the independence of government scientists. After Layton's death in August 2011, Dewar announced his candidacy for NDP leader, but withdrew after finishing poorly on the first ballot. Dewar watched in 1979 as his mother, then mayor, spearheaded Project 4000, a campaign to bring 4,000 desperate Vietnamese "boat people" to Ottawa. In 2015, Dewar picked up that mantle, urging the Conservative government to fast-track thousands of Syrian refugees fleeing that country's bloody civil war. Speaking in 2015, the day after photos of three-year-old Syrian refugee Alan Kurdi's corpse on a Turkish beach horrified the world, Dewar issued a call to action. "Sometimes it takes that kind of image, and it was those images that my mother saw on the TV in 1979 that pushed her to act," Dewar said. Dewar often acknowledged his mother's strong influence on his own politics. "My mom was a strong feminist, and she said something very important and I learned at an early age: Don't be afraid of power, know how to use and share it, and give it to those who don't have it." After going public with his diagnosis, Dewar created Youth Action Now, an initiative to raise money to help engage young people to get involved in their communities. That movement will be among his lasting legacies. As his disease progressed, Dewar took part in an immunotherapy drug trial at a Gatineau, Que., clinic aimed at prolonging his life. "I really want more time with those two guys and Julia," Dewar told CBC, his voice cracking with emotion. "If I could steal more time, and hopefully I will, that's what I want." A celebration of Dewar's life is expected to be announced in the coming days.